Do you enjoy beachvolleybal? Zuilen, in the west of Utrecht, is the place to be. Located near sportscentre 'Zuilen' are 10 permanent beachcourts. Look here for the location. These courts are managed by the 'Stichting Volleybal Utrecht' (SVU). The primary responsibilty for the SVU is to organize the 'Toverpot' tournament. The 'Toverpot' tournament is held in the weekend before the start of the competition to dot the i's and cross the t's. For more information see the Toverpot site (in Dutch). In the past SVU organized also a beachvolleybal tournament at the end of the volleybalseason. This tournament took place at recreation centre 'Maarsseveense Plassen'. In Utrecht the need arises for a structural possibility to play beachvolleybal. 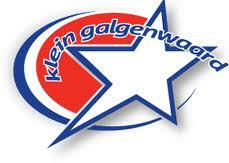 In the past beachvolleybal in Utrecht was possible at 'Klein Galgenwaard'. Unfortunately this location does not exists any more. Since 2012 the location Zuilen is available for beachvolleybal. The courts are open from May until the end of August. On Tuesday (VC Majella), Wednesday (VV Utrecht) and Thursday (VV Switch) the courts are in use by volleybal clubs. On Monday you can come to Zuilen and have fun. For just €3 you can play beachvolleybal. The courts are open from 19:00 until it is to dark to see the ball. On friday the SVU will organize, in cooperation with Irene Beach from Bilthoven, the 'Utrechtse beachcompetition'. If you want to play beachvolleybal with your friends or colleagues it is possible to rent one or more courts. To find out if courts are available have a look at the agenda. Near sports centre 'De Paperclip' in 'Leidsche Rijn' is a volleybalcourt. For more information see the UVV-Sphynx website. Volleybal club TOVO plays beachvolleybal at the recreation centre 'Maarsseveens Plassen'. For more information see the TOVO website.